Dynamite Entertainment is proud to announce the signing of Cullen Bunn, who will pen a Shadow tale where he meets the elusive magician Houdini! And you can expect more to come from Dynamite and Cullen Bunn in the future! "I've long been a fan of pulp heroes, and the Shadow was my introduction into that world," says writer Cullen Bunn. "In this tale, we see the Shadow infiltrating a secret society of magicians who are willing to do anything to lay claim to what might be the most forbidden of secrets. 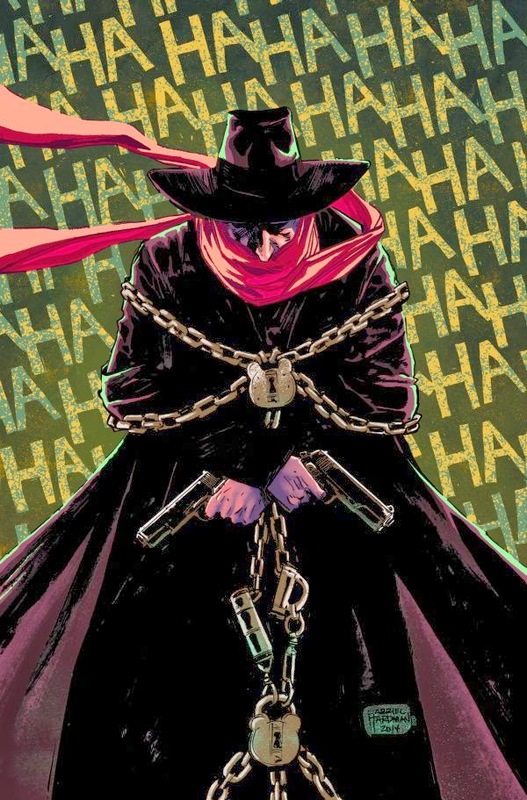 As the Shadow evades devious deathtraps, we learn that he has a connection to the greatest magician of all time." In The Shadow #0, secrets of the Shadow's past are revealed as he meets Houdini! The Shadow infiltrates sanctum of an esoteric society of murderous magicians who are hellbent on escaping the ultimate trap--death itself! In order to thwart their plans, though, he must evade twisted traps and solve spellbinding puzzles. A good--or evil--magician never reveals his secrets... but the Shadow knows. Of course, the real Houdini had a strong connection to The Shadow. The Shadow's creator, Walter B. Gibson, was Houdini's friend and ghostwriter, and went on to pen several books about the great escape artist. UPDATE: I'm surprised to see The Hollywood Reporter pick up this news. But they do seem to have a thing for Houdini.